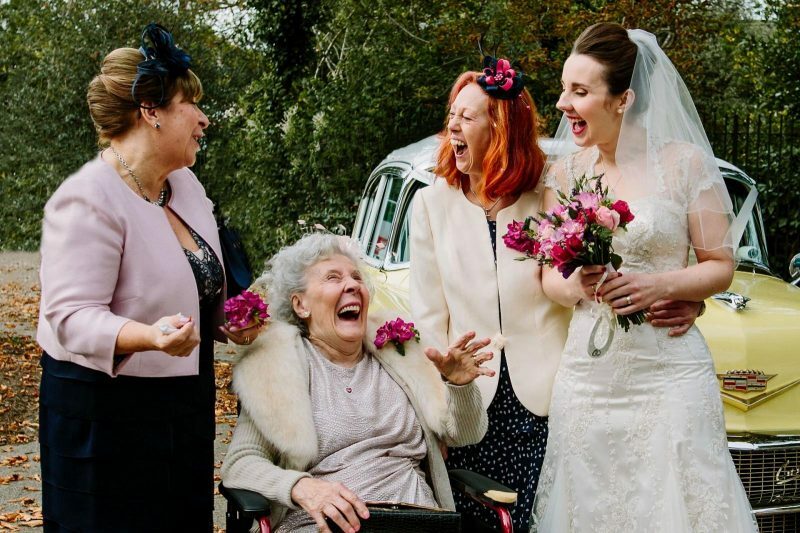 Above striking example of documentary wedding photography by Andrew Billington (which you can read how he captured it over here). 1. Memories: When you look back at your images you’ll remember what you were feeling, rather than what you had been told to do by a photographer. This is huge; *so* important. 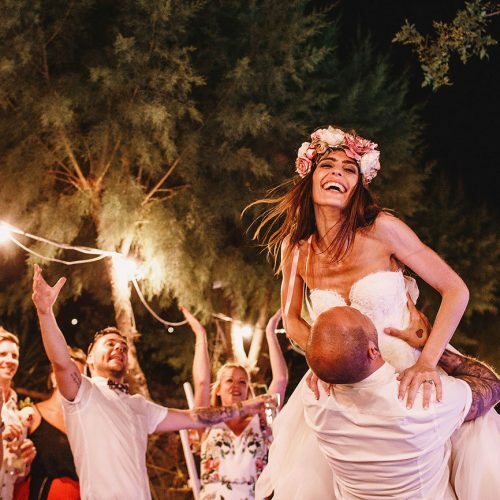 When you look at your wedding photographs, you can be transported back to the moment (sorry if that sounds a little grand, but it’s really true! 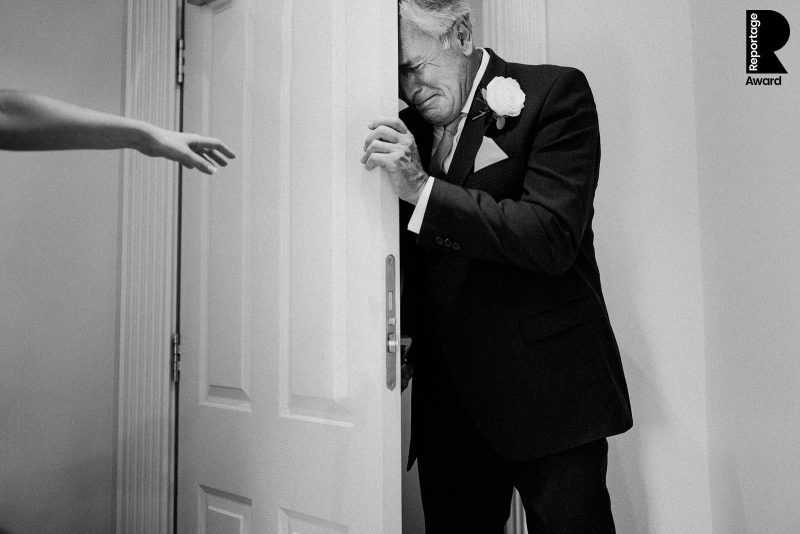 ); you can almost re-live the memory of your Dad seeing you in your dress for the first time, or the moment you oh-so-nervously glanced towards the ceiling as your bride walked down the aisle…and that’s because your photographer captured the moment naturally, without any direction. On the other hand, if your photographer had told you to stand in a certain place, or asked you to repeat the action of applying your make-up, for instance, then when you looked at those images, you’d just remember being told to do something by the photographer. Being told to do something? 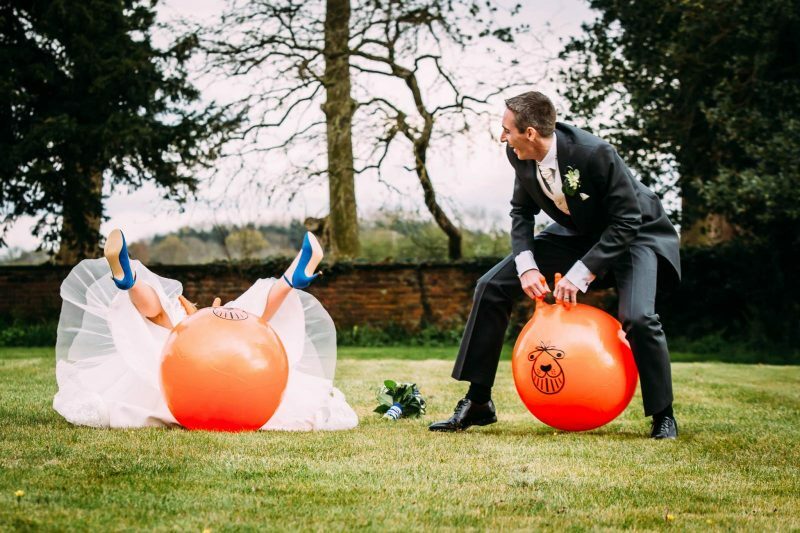 Those are surely not the memories that you want from your wedding! What a capture by Sam Docker! 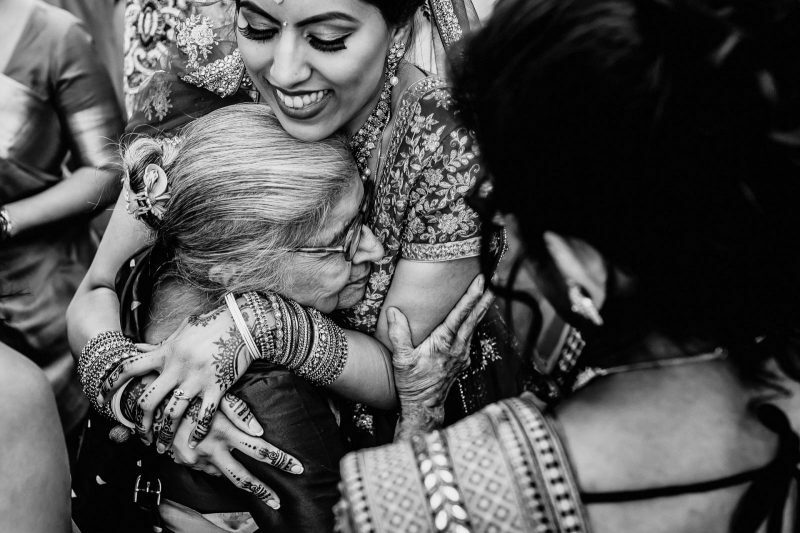 When both the bride and dad see this image, you just know that both of them will instantly remember how they were feeling – transported back to such a special moment. And that’s because Sam captured it in a documentary style; conversely, if he’d set it up, or asked them to re-create this moment again (as some photographers do) then they’d both just remember following instructions. A great example of memory-capturing by Steven Rooney. Looking back at the image, you’ll remember the feeling of that hug; the high emotion of that moment – rather than being told to do something by a photographer. 2. You get to see things you didn’t even know happened. 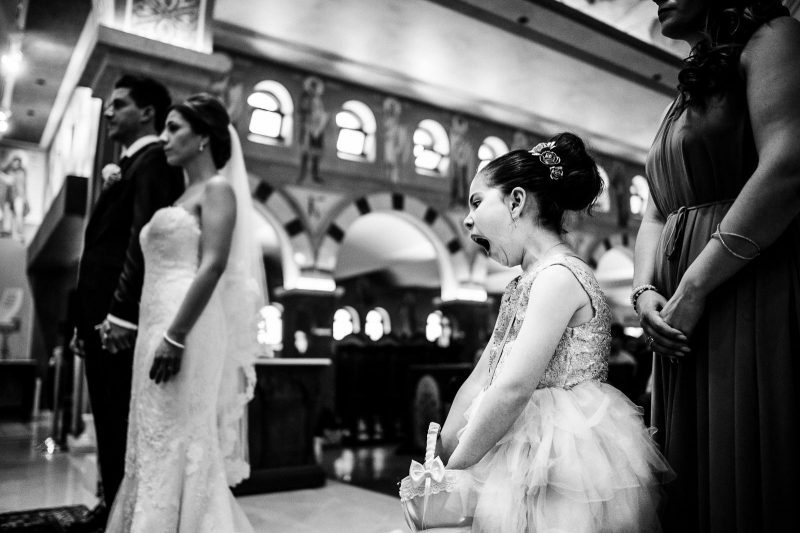 Great reportage wedding photographers, like Tobias Loehr, don’t just focus on the bride and groom the entire day; instead, they capture all the little moments – like this yawning flower girl! – that you didn’t even see on the day itself. 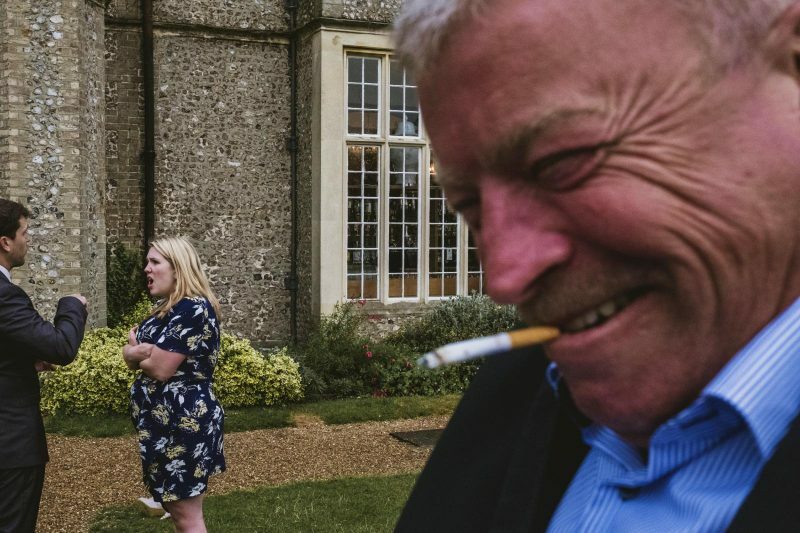 A couple having a little ‘disagreement’, a guest enjoying his cigarette…these are all little mini-stories, all parts of your day that you wouldn’t have witnessed yourself – brilliantly captured here by Liam Shaw of York Place Studios. 3. It’s perfect if you’re camera shy or self-conscious. Camera shy? 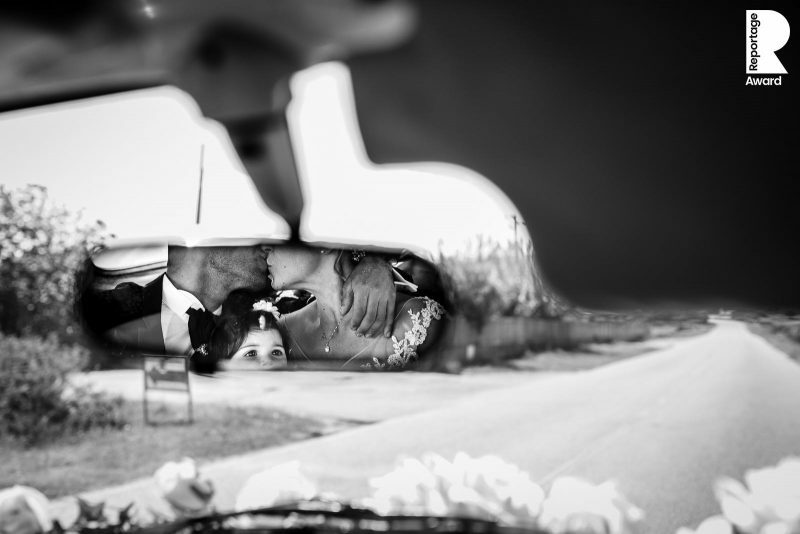 Then documentary wedding photography is perfect for you! 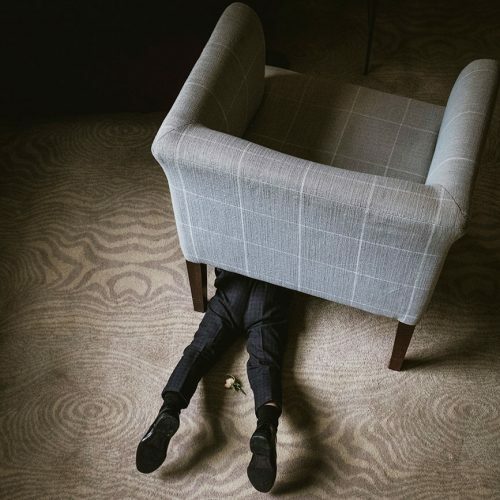 As this image by Annie Gozard shows, you don’t have to be doing poses, or looking at the camera whatsoever; great documentary wedding photographers will still get beautiful images of you, whilst you’re totally unaware. A traditional wedding photographer would ask you both to look at the camera here, and thus missing this totally natural embrace (and family scene, too!) – captured by the fab Matteo Carta. If you’re in any way self-conscious, this natural approach is the style for you. 4. You capture the raw emotions. 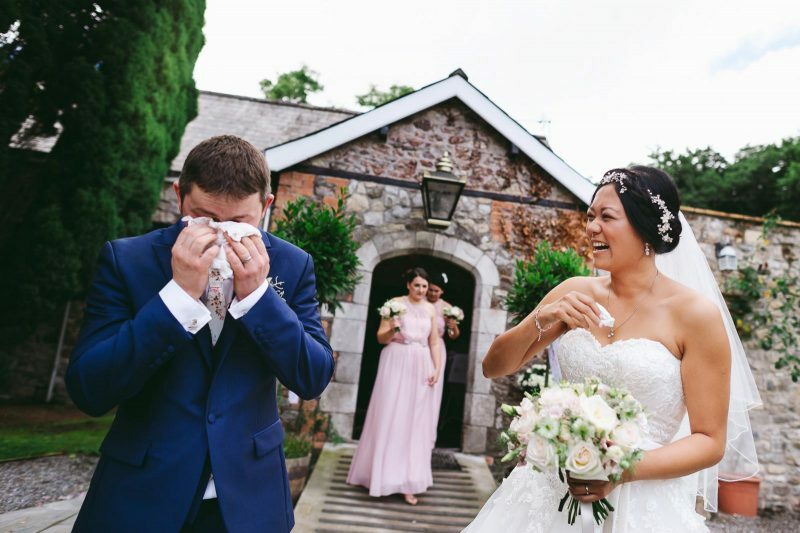 We all know that emotions come in all different forms, and a great documentary wedding photographer will capture them all – sometimes two different emotions in the same frame! As demonstrated here by Aga Tomaszek. 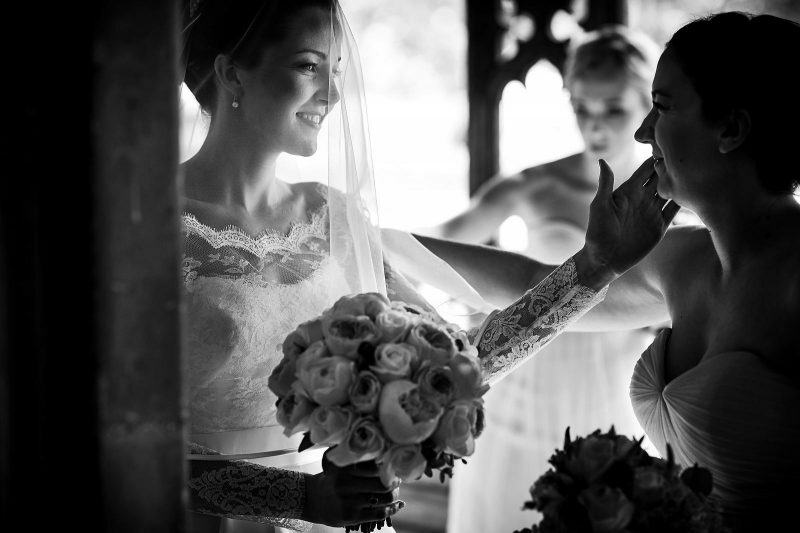 It’s not just the huge outpourings of emotion that are important; the subtle ones are just as important to capture, too – as in this look and touch between bride and bridesmaid, by Martin Beddall. 5. There’s no shouty/bossy photographer around, running/ruining your day; instead, we’re unobtrusive, and often get mistaken for guests. 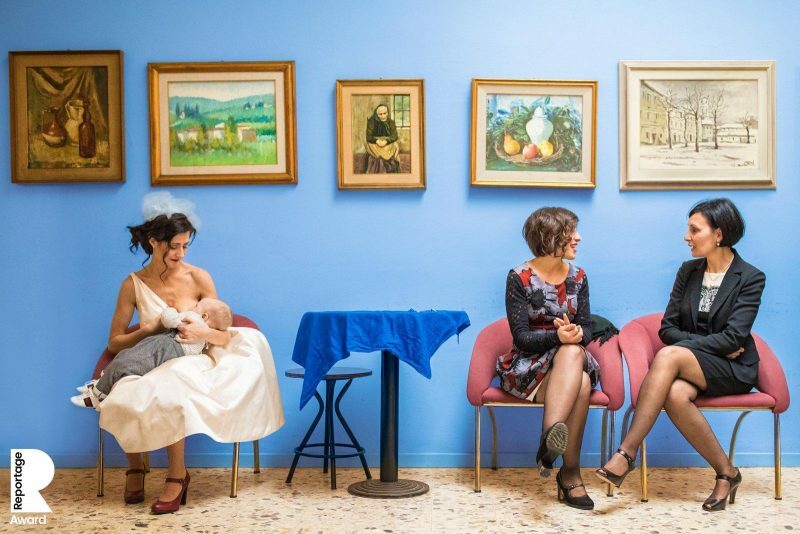 Because we blend in with the day, rather than telling people what to do, guests totally relax in our presence; meaning we can capture the true, natural essence of the day and people, as Fabio Mirulla brilliantly demonstrates here. Quietly capturing pieces of art, like this beauty by Dominique Shaw of York Place Studios; no orders being given, just totally unobtrusively capturing your day as it happens. 6. People look their best. As soon as people know they’re being photographed, they change – whether this is to put on their ‘camera-face’, or to change whatever it is they’re doing at the time, because they think it may not look too good. The irony is that as soon as they do either of those things, they often don’t look their best – people can look unnatural, stiff or awkward when they ‘think’ they’re doing what looks good. On the other hand, when people are captured totally naturally – when they don’t know they’re having their photograph taken – people look their best: Natural, beautiful…themselves. Because capturing the real you, well, that’s what beauty really is. 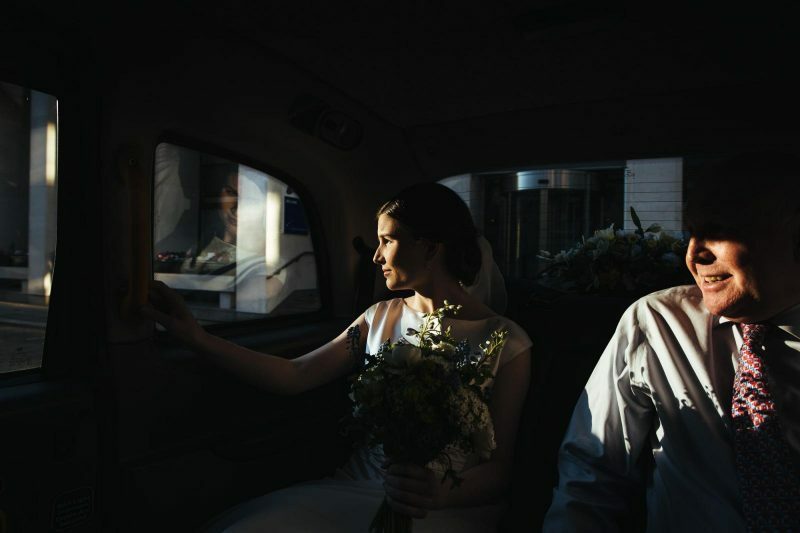 A great example by Lyndsey Goddard; the bride looking beautiful, just looking out of the window, unaware she’s being photographed even when Lyndsey was so physically near. 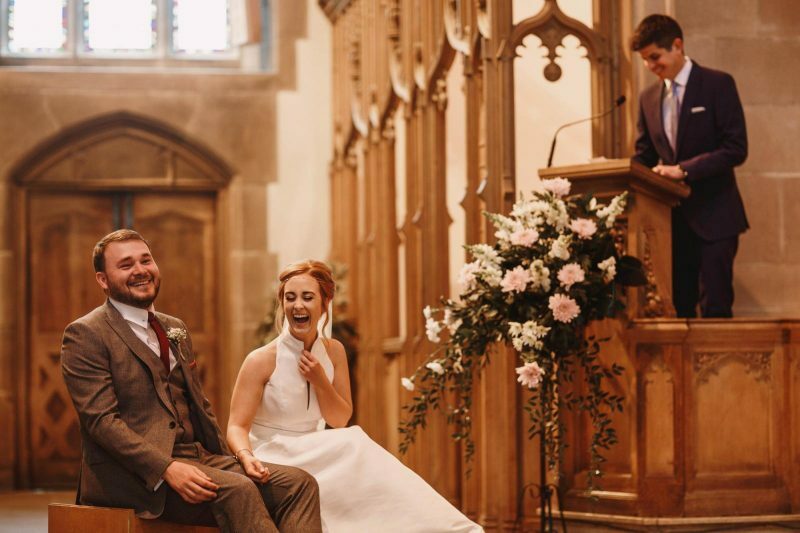 Mid-laugh, not even thinking for a second about being photographed…both the bride and groom looking great. Because that is them; Adam Johnson capturing the way they truly are, their personalities; them. Beautiful. 7. Images are fresh, dynamic and unique, as they’re not re-creations. 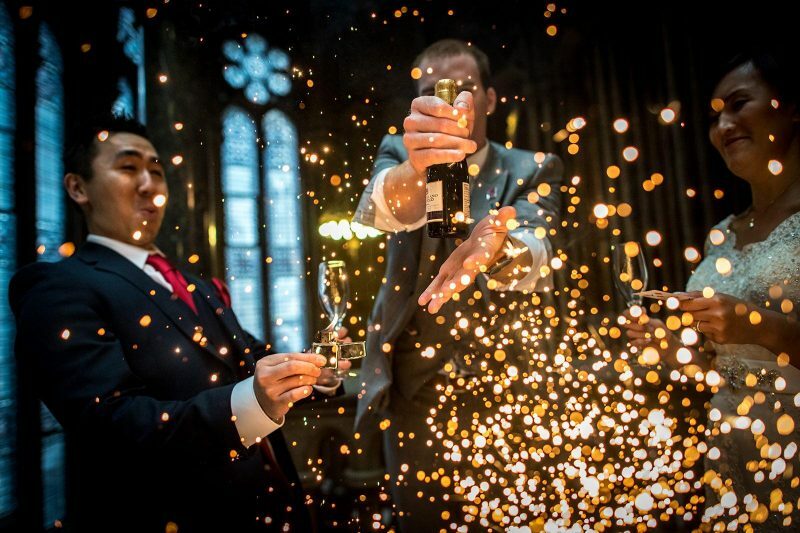 Your wedding will be unlike any other – totally unique, because it’s your wedding. 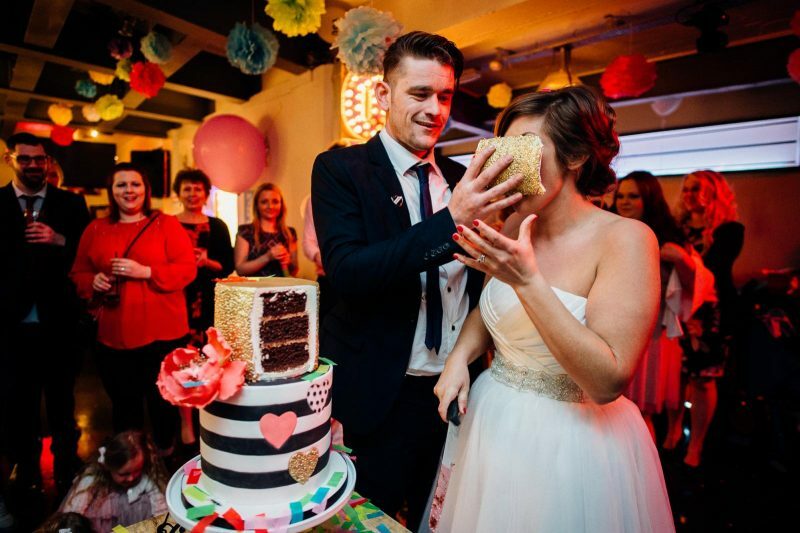 So why would you want your wedding photos to look like everyone else’s? Shouldn’t they be just as unique as your wedding? 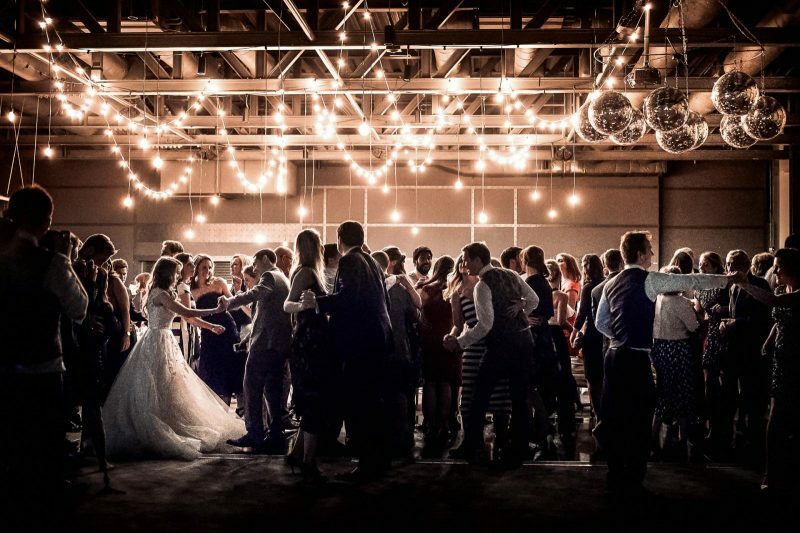 That’s where the documentary wedding photography style excels, as we’re capturing moments on the fly – unique moments, composing and capturing them in totally new ways, because those moments haven’t happened before either. Conversely, traditional photographers will deliver the same images as everyone else’s, because they’re controlling the scenes; putting you into the same poses, asking you to re-create the same ‘putting on make-up’ shot, asking you to stand in the same window light for the exact same bridal portrait they’ve done a hundred times before. Suddenly, the images aren’t about you, or your wedding, but instead are about the photographer; their poses; their method. 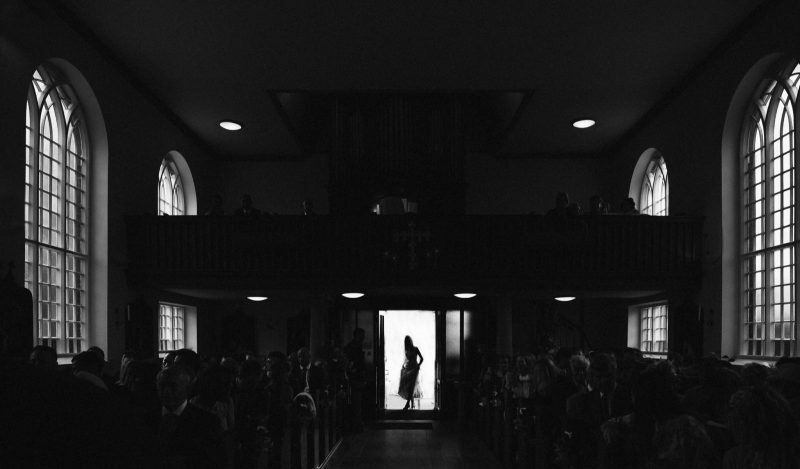 The silhouette, the symmetry…talented documentary wedding photographers like Adam Riley are creating pieces of art on the fly. 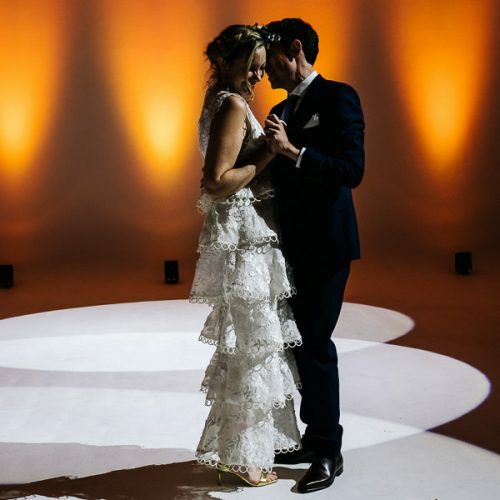 A perfect example of capturing an element of the day that always happens – the bride’s entrance – but doing so in a fresh, dynamic and unique way. How about this for a dynamic capture? So alive and fresh: James Tracey even risking physical harm to make sure your images are as unique as this! 8. You can relax and just enjoy your wedding day. 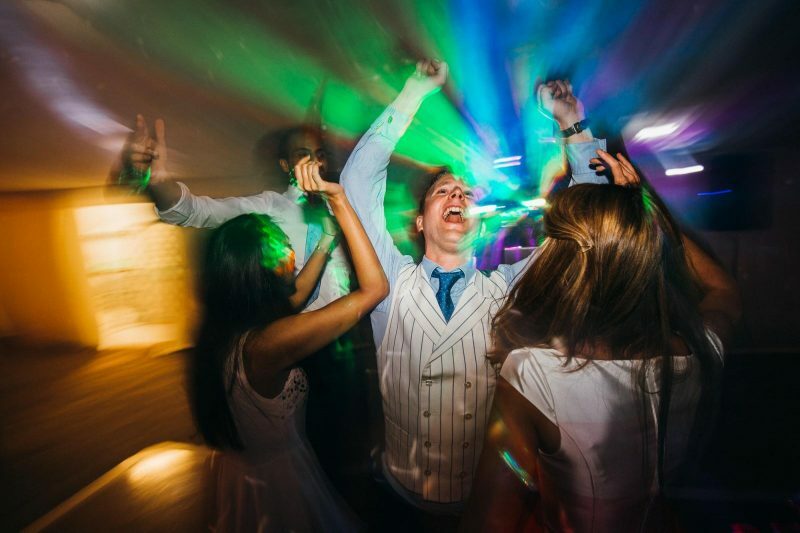 Let your hair down; go wild – just be yourself, and enjoy every moment, safe in the knowledge that your photographer (in this case the fab Simon Biffen) is capturing it all. Where will the photographer be for the speeches? Should I move the table decorations so he/she can get a better shot? Should I try to laugh with my mouth closed, does that look better? 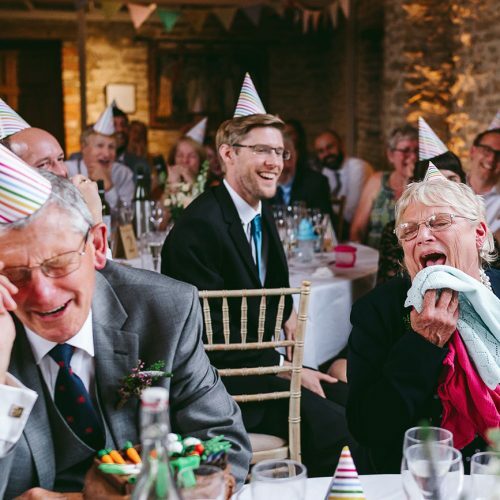 *None* of these are the questions we want you to ask, or should be even thinking of; just relax, and your photographer will capture the best moments – the real, beautiful moments (such as this fab capture by Matthew Long) – for you. 9. You capture the humour! 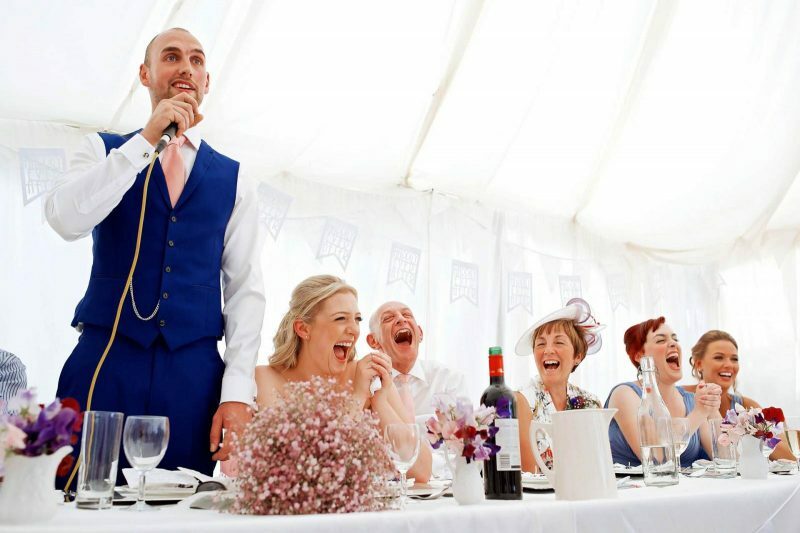 Weddings are (obviously) incredibly joyous affairs – full of incredibly funny moments and laughter. And, just like the raw emotion capturing, these moments of humour can’t be staged; by their very nature they’re spontaneous. 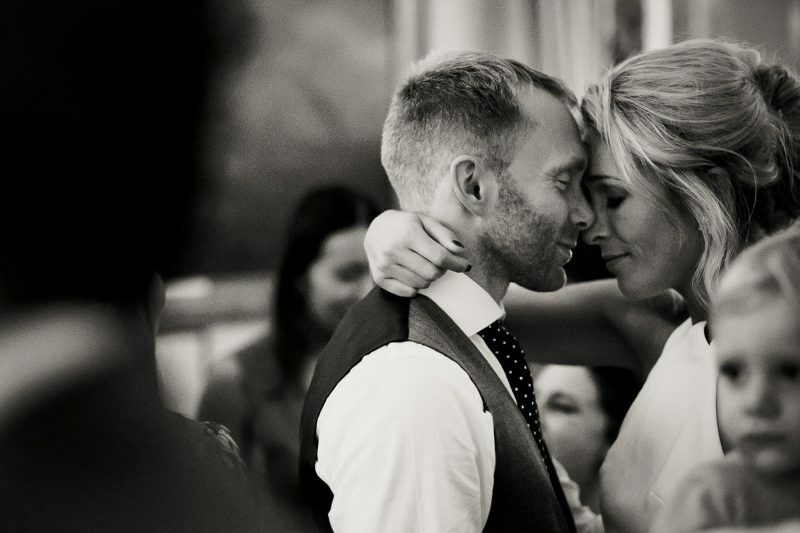 Documentary wedding photography can sometimes have a bit of a myth about it, that it’s very demure, often black-and-white sombre captures – but that couldn’t be further from the truth! A caption’s not necessary for this, I think…! Superbly captured by John Steel. Yup, no caption needed for this one either…! A fab capture by Marianne Chua. 10. You get the best of both worlds. Why so? Because, though there are some reportage wedding photographers out there who are ‘100% documentary’, the vast majority of photographers still love to capture some portraits of you both (if you want that), and are more than happy to do some group shots, too (again, only if you want them). So, you can still have 99% of your day captured in the way I’ve spoken about above – with all those amazing benefits that the style gives – whilst also having some lovely images of just the two of you, and those groups for your gran’s mantelpiece, too; you really do get the best of both worlds. 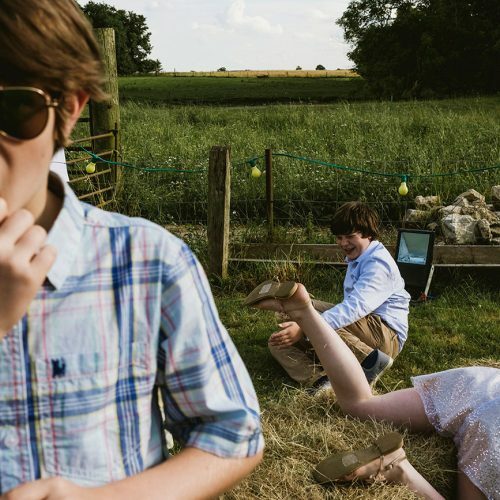 For sure, the vast majority of photographers will still get some group shots of you all looking at the camera if you want them; but they’ll also capture natural, spontaneous groupings of people, like this fab capture by Sharron Gibson. Now that I’ve explained the benefits, where do you go about finding such photographers…? Right here on This is Reportage, of course! 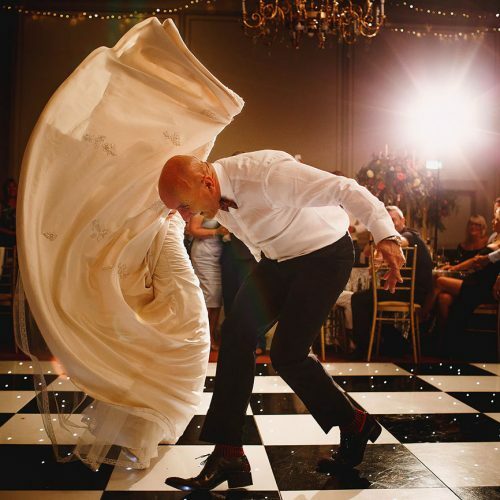 Only photographers who excel at documentary wedding photography, and capture the vast majority of your day that way, can become members on our site. Simply head over to our directory, tell us where your wedding is, and we’ll show you some of the very best photographers around. Are you a photographer yourself? Tell the world how important you think naturally capturing someone’s day is, showcase your very best images, and enter our Awards by applying to become a member over here. Members receive 60 Reportage Award entries and 18 Story Award entries per year (view Collections here), their own profile on the site with the ability to show an unlimited number of images/Stories, exclusive deals/discounts on wedding photography-related products, invites to our physical meetups/parties, access to our private Facebook group, and lots more. View all the benefits of membership and sign up.